AirPura H600 is the lowest cost AirPura air purifier with AirPura H600 True HEPA filter. The AirPura H600 main purpose is to eliminate all allergens and lung damaging dust out of the air and bring relief to allergy and asthma sufferers in large homes, offices and workplace areas up to 2000 sq. ft.
AirPura H600 employs large medical grade True HEPA filter. AirPura H600 is equipped with the powerful and quiet energy efficient one-piece motor/fan assembly. AirPura H600 features the variable speed control. AirPura H600 delivers a superior air flow of 560 CFM. AirPura H600 can effectively purify areas up to 2000 sq. 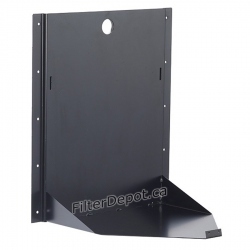 ft.
AirPura H600 features the all metal housing with appliance finish powder coating. The AirPura H600 limited manufacturer's warranty includes 5 Years on Parts / 10 Years on Labor. AirPura H600 produces no ozone and no toxic off-gassing. AirPura H600 ships Free by Ground service in continental US and Canada. The AirPura H600 purchases from this web site are exempt from US Sales Tax. The AirPura H600 shipments are Free from all Border crossing charges or fees. AirPura H600 comes with a 30-Day Money Back Satisfaction guarantee Return policy. AirPura H600 - When to Use? 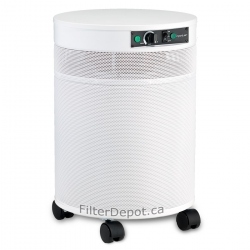 Use AirPura H600 air purifier to create and maintain the allergen-free environment to help allergy and asthma sufferers breathe much easier and keep their allergies under control. AirPura H600 air purifier employs large True HEPA filter similar to one installed in AirPura R600 model. 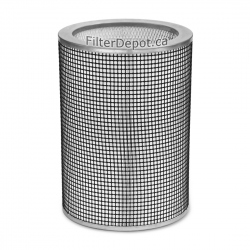 True HEPA filter traps from the air over 99.97% of all microscopic solid airborne contaminants down to 0.3 micron in size, including: mold spores, plant spores, pollen, house dust mites and debris, lung damaging dust, pet dander, bird feather dust, microscopic ash particles in cigarette smoke and smoke from wood burning stove, etc. 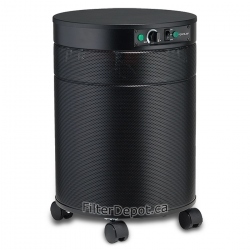 Instead of large activated carbon canister with 18 lbs. of granulated carbon adsorbent, AirPura H600 employs a lightweight HI-C carbon weave filter to provide an adequate removal of most household chemicals and noxious odors. It also makes the units about 16 lbs. lighter - easier to carry up and down stairs when necessary. AirPura H600 air purifier can also be equipped with optional Germicidal UV bulb. The High output Germicidal UV Bulb is an optional upgrade for those who require the highest sterilization power for airborne pathogen control such as: microbes, bacteria, germs, fungi, etc. Large polyester based pre filter is the first stage of the air filtration system. 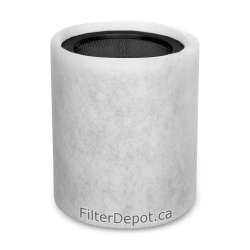 It captures from the air most of the larger visible dust and dirt particles and protects fine True HEPA filter from fast contamination and extends its lifetime. 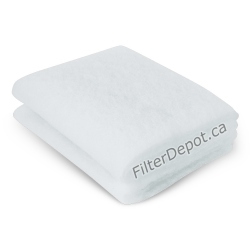 The Unbleached pesticide-free Cotton Pre-filter is available as optional upgrade for concerned air purifier users. As a standard feature, the AirPura H600 features top and bottom Felt Gaskets. 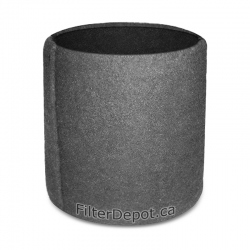 The felt gaskets are used to pressure seal the filter compartment. They help eliminate polluted air by-pass and increase the overall performance and the air filtration efficiency of the air purifier. The use of non off-gassing felt gaskets instead of commonly used rubber gaskets helps eliminate toxic off-gassing from the air purifier. AirPura H600 Motor Fan Assembly. AirPura H600 air purifier employs the same powerful, yet energy efficient Motor/Fan unit with variable speed control rated at 560 CFM. The variable speed control allows users to set the optimal air flow by selecting the speed setting that is the most suitable for any particular air cleaning application, activity or a time of the day. The one-piece Motor/Fan assembly is factory balanced for vibration and noise-free operation. The motor and electric components are placed in a separate chamber at the top deck of the unit. 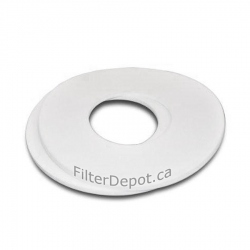 This helps eliminate the contact with the already filtered air passed the air filtration system prevent its re-contamination. The unit can be equipped with optional 220-240 Volts, 50 Hz motor and power cord per customer's specification at extra cost. As all AirPura models, AirPura H600 air purifier features the all metal durable, impact resistant housing. The appliance quality baked-on powder coating forms a durable scratch, scuff and stain resistant surface. The baked-on powder coating is totally inert and produces no toxic off-gassing. 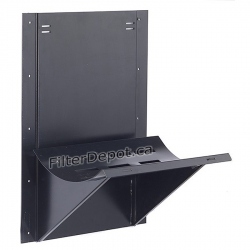 The 360° Polluted air intake made of perforated grill ensures unobstructed polluted air intake and improves the overall air purifier performance. The 320° Clean air outlet at the top deck of the unit ensures even distribution of already purified air. Clean air outlet is located at the upper deck of the unit - away from dust and dirt on the floor. To ensure an easy mobility of AirPura H600 air purifier it is equipped with four Wheel Casters on the bottom panel. AirPura H600 air purifier comes with the most comprehensive limited manufacturer's warranty. It is intended to give AirPura air purifier owners the peace of mind. Full 5-Year Warranty on Parts and Labor. Additional 5-Year warranty on Labor (the more expensive part of the total repair cost). 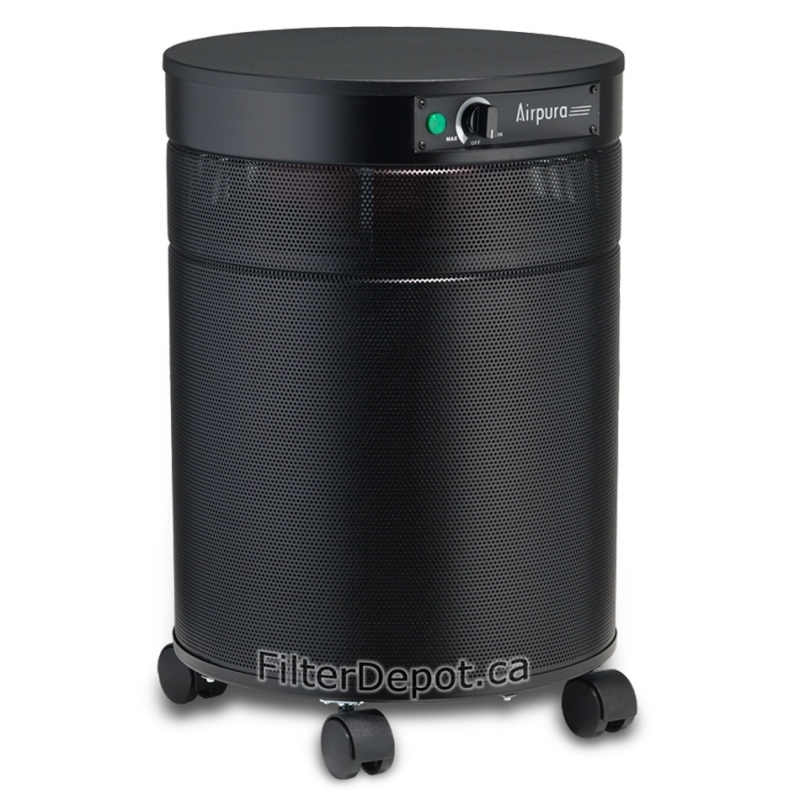 AirPura H600 air purifiers ship free of charge by FedEx Ground delivery service in Canada and the Continental USA. There are no additional charges or extra fees related to the border crossing (if any) for all US and Canadian customers. AirPura air purifiers are shipped in certified durable triple-wall corrugated cardboard boxes.